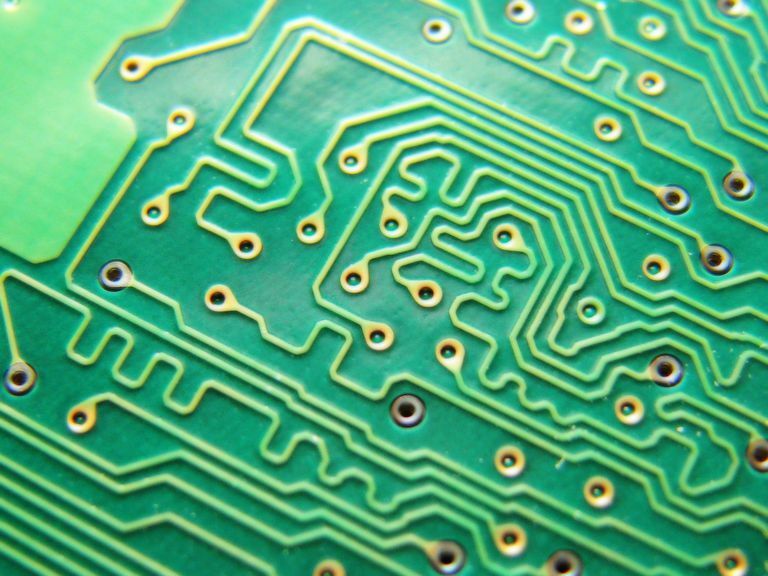 A semiconductor is a material that has certain unique properties in the way it reacts to electrical current. It is a material that has much lower resistance to the flow of electrical current in one direction than in another. The electrical conductivity of a semiconductor is between that of a good conductor (like copper) and that of an insulator (like rubber). Hence, the name semi-conductor. A semiconductor is also a material whose electrical conductivity can be altered (called doping) through variations in temperature, applied fields, or adding impurities. While a semiconductor is not an invention and no one invented the semiconductor, there are many inventions which are semiconductor devices. The discovery of semiconductor materials allowed for tremendous and important advancements in the field of electronics. We needed semiconductors for the miniaturization of computers and computer parts. We needed semiconductors for the manufacturing of electronic parts like diodes, transistors, and many photovoltaic cells. Semiconductor materials include the elements silicon and germanium, and the compounds gallium arsenide, lead sulfide, or indium phosphide. There are many other semiconductors—even certain plastics can be made semiconducting, allowing for plastic light-emitting diodes (LEDs) which are flexible, and can be molded to any desired shape. According to Dr. Ken Mellendorf at Newton's Ask a Scientist: "Doping" is a procedure that makes semiconductors such as silicon and germanium ready for use in diodes and transistors. Semiconductors in their undoped form are actually electrical insulators that don't insulate very well. They form a crystal pattern where every electron has a definite place. Most semiconductor materials have four valence electrons, four electrons in the outer shell. By putting one or two percent of atoms with five valence electrons such as arsenic in with a four valence electron semiconductor such as silicon, something interesting happens. There are not enough arsenic atoms to affect the overall crystal structure. Four of the five electrons are used in the same pattern as for silicon. The fifth atom doesn't fit well in the structure. It still prefers to hang near the arsenic atom, but it is not held tightly. It is very easy to knock it loose and send it on its way through the material. A doped semiconductor is much more like a conductor than an undoped semiconductor. You can also dope a semiconductor with a three-electron atom such as aluminum. The aluminum fits into the crystal structure, but now the structure is missing an electron. This is called a hole. Making a neighboring electron move into the hole is sort of like making the hole move. Putting an electron-doped semiconductor (n-type) with a hole-doped semiconductor (p-type) creates a diode. Other combinations create devices such as transistors. The term “semiconducting” was used for the first time by Alessandro Volta in 1782. Michael Faraday was the first person to observe a semiconductor effect in 1833. Faraday observed that the electrical resistance of silver sulfide decreased with temperature. In 1874, Karl Braun discovered and documented the first semiconductor diode effect. Braun observed that current flows freely in only one direction at the contact between a metal point and a galena crystal. In 1901, the very first semiconductor device, called "cat whiskers", was patented. The device was invented by Jagadis Chandra Bose. Cat whiskers was a point-contact semiconductor rectifier used for detecting radio waves. A transistor is a device composed of semiconductor material. John Bardeen, Walter Brattain, and William Shockley all co-invented the transistor in 1947 at Bell Labs. Who Invented LED or the Light Emitting Diode?